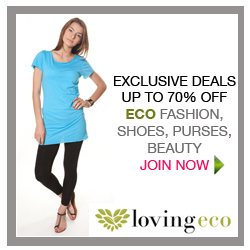 I love LovingEco!!! I am so happy you wrote about them. a few weeks ago I bought a Cityzen Green top and it has quickly taken top position in my closet I also bought earrings from Sword and Fern this week and cannot wait until they arrive! I am soo glad you like them! I have yet to purchase because I am afraid if I do I won’t be able to stop but I guess that isn’t soo bad right?